In its sixth year, Illumination ushers visitors through a magical wintertime walk in the woods, surrounded by a kaleidoscope of vivid, colored lights and surprising and delightful interactive effects. We love going to Illumination! Our kids have the joy of hugging trees to make them change colors, pressing buttons to change the lights, warming up by the fire pits, and being in awe as we walked along the path. The Morton Arboretum has kindly given us 8 tickets so two of you can take your families for free. Keep reading so you can find out about the new features this year and enter to win! From November 17 until January 1, 2019, the Arboretum’s majestic trees are shining in hypnotic shades of blue, purple, green and hot pink. As your family walks along the wooded path, you will encounter a series of “experiences” woven throughout your journey, encouraging you to see trees in a different light. This year will focus on the gifts that trees give us. Watch a dazzling light show play in time to classic wintertime music, hug a tree and watch as it reacts or follow beams of light as they dance across the night sky. Live entertainment and warming stations add to the wintertime experience. This photograph looks like it’s painted, but it isn’t! I was shocked when I saw it in person. So cool. This year’s exhibit offers several unique new displays and added entertainment on weeknights. 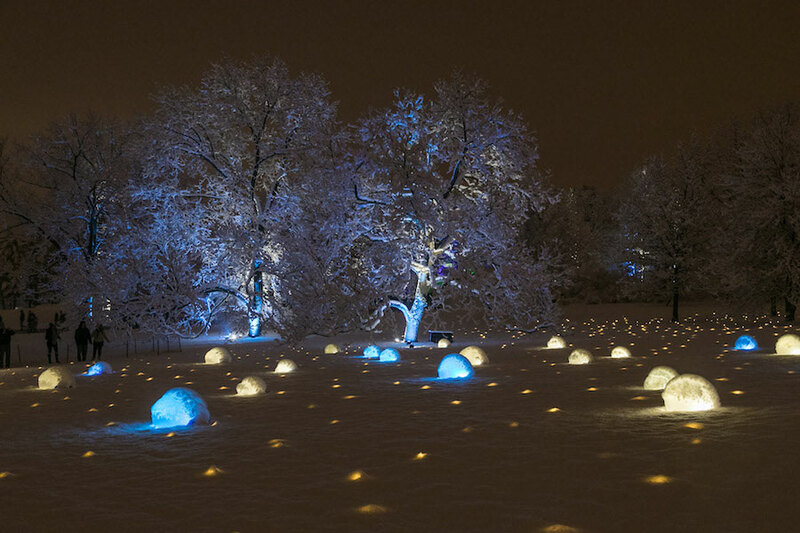 Created exclusively for The Morton Arboretum by Smithsonian-featured arts collective HYBYCOZO, the five sculptures in the Crown of Light experience evoke a crown of trees. Each of these giant sculptures—measuring between nine and 12 feet tall—feature intricate, laser-cut patterns calling to mind nature, harmony and trees. Visitors can look on as vivid light from within the pieces simultaneously beams skyward and spills through the patterns that adorn the sides, creating shadows on the ground below. The new Woodland Wonder experience takes visitors through a grove of trees, surrounding them in pinpoint laser lights that dance to ethereal music. Visit Illumination on Tuesday through Thursday for discounted prices, lighter crowds and a slate of entertainment on select evenings, including visits with Santa on Tuesdays, live music on Wednesdays and beer, wine and spirits tastings on Thursdays. This is one of my favorites. It looks so magical. In Treemagination, surreal projections cast across a grove of hemlocks make trees appear to come to life. This year, new projections will highlight trees’ root systems and the important connections that take place underground. New this year, the lights in Symphony Woods will dance to popular renditions of The Nutcracker’s “Dance of the Sugar Plum Fairy” from various artists, including Pentatonix and Lindsey Stirling. Reimagined for 2018, Meadow Lake Magic features tendrils of light that extend from two shores of the lake, weaving together as they meet on the water’s surface. Fantasy Forest is designed to represent a grove of trees, as several structures provide the setting for beams of light that sweep through the landscape and toward the sky as music plays. At Hug a Tree, visitors can wrap their arms around one of three hickory trees and watch it respond with bright, pulsating light. Two concession tents along the trail will offer snacks and hot beverages, including gourmet hot chocolate. Visitors can also stop in the Arboretum’s Ginkgo Restaurant, which will offer a full dinner menu every night of Illumination. The upcoming season will also feature a new party rental space. Guests will enjoy an exclusive Illumination experience in the Arbor Court Pavilion. Illumination tickets range from $18 to $23 for adults and $12 to $15 for children. Discounts apply for Arboretum members. Tickets are available online, at the Arboretum’s Information Desk or by calling 630-725-2066 ($5 handling charge for phone orders). Advance reservations are highly encouraged as nights sell out. 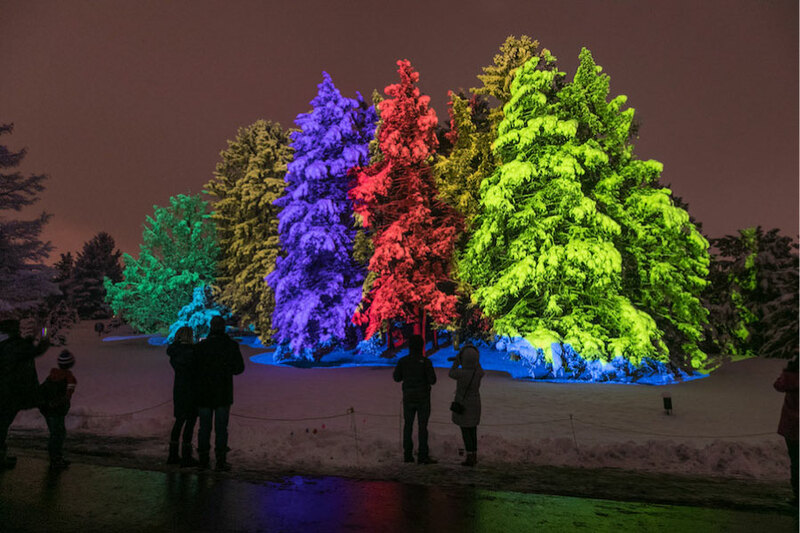 To learn more and purchase tickets, visit mortonarb.org/Illumination, and follow The Morton Arboretum on Facebook and Twitter for the latest event information. 2018 Illumination is generously supported by Invesco QQQ and ComEd. 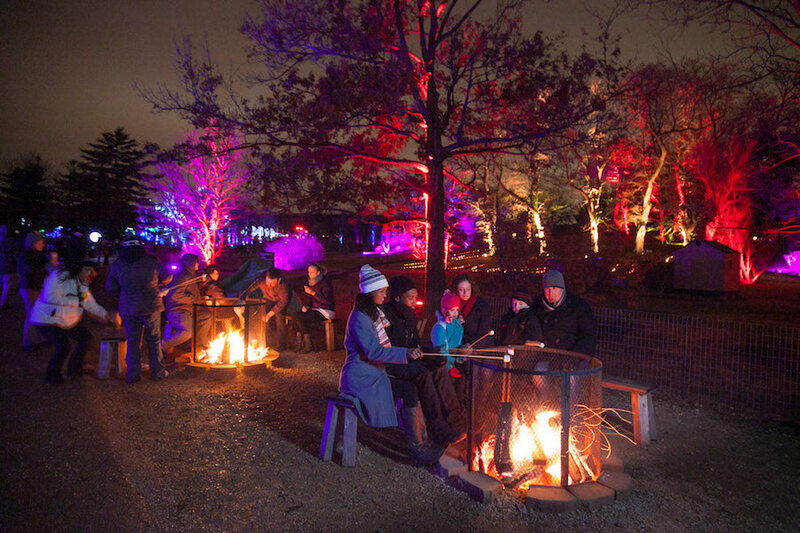 The Morton Arboretum has graciously given Kidlist tickets for two families to attend Illumination on a night of their choosing! All you have to do is fill out the form below to enter. 2 Comments on "Illumination Giveaway and New Features You’ll Love"
You’re welcome! Thanks so much for taking the time to comment. ? I’m glad you like the site.